Get last minute golf deals and more by joining the Joe Louis "The Champ" text messaging club! 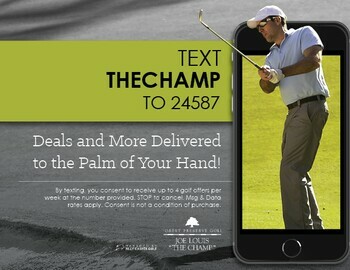 Get great golfing deals and more delivered to the palm of your hand by joining the Joe Louis Text Club. Text "Thechamp" to 24587.